In celebration of International Women's Day, join us for the third annual Disrupting the Patriarchy. This year's event will feature Radha Agrawal, author of Belong: Find Your People, Create Community and Live a More Connected Life. We will kick off the event with networking and refreshments from 6:30pm - 7:15pm. A presentation and panel discussion will follow from 7:15pm - 8:15pm. About the author: Radha Agrawal is the co-founder, CEO and Chief Community of Daybreaker. She is also the co-founder of THINX and LiveItUP Life School. She speaks and consults all around the world on creating meaningful community. 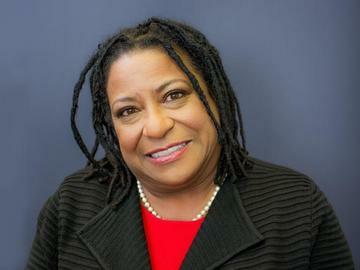 Jovida Hill joined the administration of Mayor James F. Kenney in February 2016 as the Administrator in the Office of Diversity and Inclusion. In June 2016 Mayor Kenney appointed her to serve as Executive Director of the Philadelphia Commission for Women. The following year, the Mayor appointed her to serve as Executive Director of the Office of Engagement for Women. Jovida has been an award-winning writer and producer of more than 200 films and videos for the education, broadcast and training markets for Kinocraft Media, Inc. for 25 years. As a journalist, Jovida served as Art & Entertainment Editor of the Philadelphia Tribune, a post she also held with WDAS AM/FM radio; she was a columnist for the Philadelphia Daily News and was an Associate Producer for the PBS public affairs television program Black Perspective on the News. Jovida has served as the Chair of the Philadelphia Black Women’s Health Project and Scenic Philadelphia and was a founding member of the African Sisterhood and the Women Gather Conference. Jennifer Lynn Robinson, Esquire is the CEO of Purposeful Networking. She conducts keynotes, workshops and seminars assisting law firms, companies, non-profits, universities and conferences to help ensure your networking is working for you. Jennifer is also the President of FemCity Philadelphia, a women's business networking organization with 2000+ women. Jennifer has been featured in local and national media including FOX, Forbes, The Huffington Post, Chicago Tribune and Philadelphia Magazine. She was named a Top Small Business Influencer of 2018 as well as one of the 45 Philly Business Influencers to Follow on Twitter Right Now for 2018 by Philadelphia Magazine. Sheila Sutton is currently a project manager at Dranoff Properties in Philadelphia, a real estate development company that focuses on luxury residential projects in the local area. She was involved in projects such as One Riverside in Philadelphia and One Ardmore Place in Ardmore, PA. Sheila worked for construction management firms in Philadelphia and Washington, DC for five years before joining Dranoff Properties in 2014. She grew up in Virginia and graduated from Virginia Tech in 2009 with a BS in Building Construction. Sheila worked in Washington, DC for three years before moving to Philadelphia in 2012. She received her MBA from Villanova in 2015. She currently resides in Collegeville with her husband, two small children, and yellow lab. In her free time, Sheila enjoys running, reading, trying new restaurants with her husband around Philly and family time. Elizabeth Wellington, a native New Yorker and graduate of New York University, is the lifestyle columnist for The Philadelphia Inquirer. Before that she was The Philadelphia Inquirer’s fashion writer for 14 years. During that time, she covered fashion weeks in London, Paris and New York, and chronicled former first lady Michelle Obama’s fashionable era in the White House. She is a regular speaker at area schools, hosts local fashion shows, and she periodically appears as a fashion and lifestyle expert on local morning news shows such as Good Day Philadelphia. Her loves: yoga, watching Super Soul Sunday, running, swimming; attending wine and cheese tastings and hanging out with her niece and nephew.